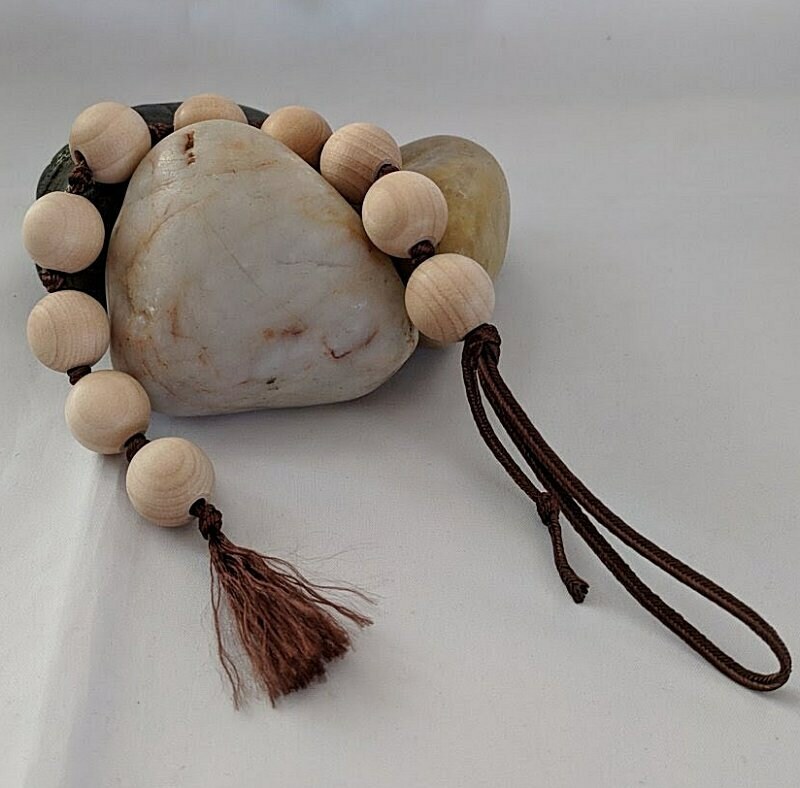 This one is very unpretentious with natural unpolished wooden beads (16mm) which are connected with a heavy brown cord. 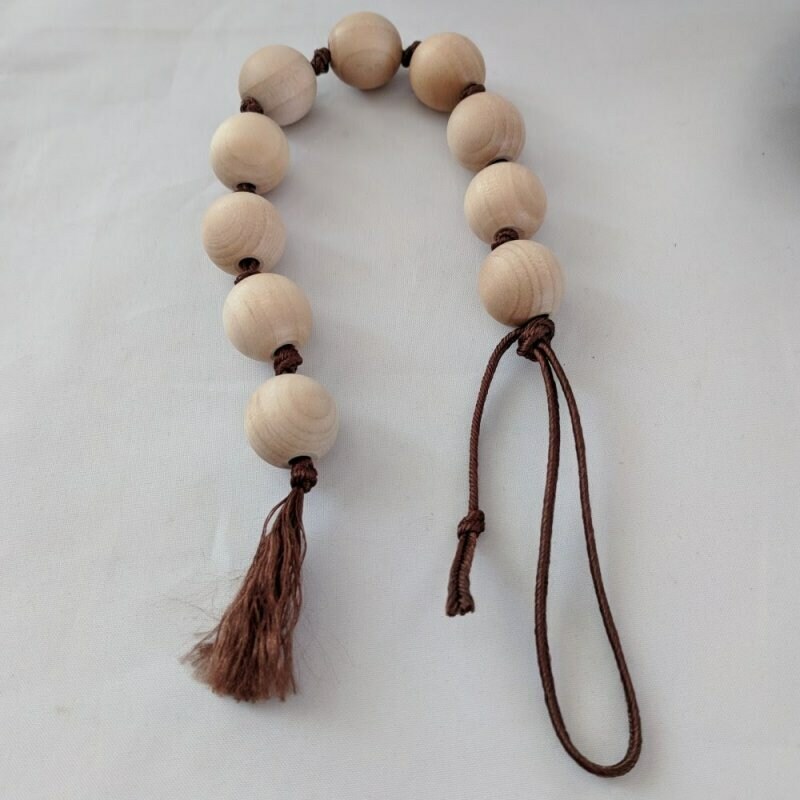 The cord forms a tassel at the bottom, has knots between each bead and ends with loop for hanging the string of prayer beads from a belt or pouch. The overall length is approx. 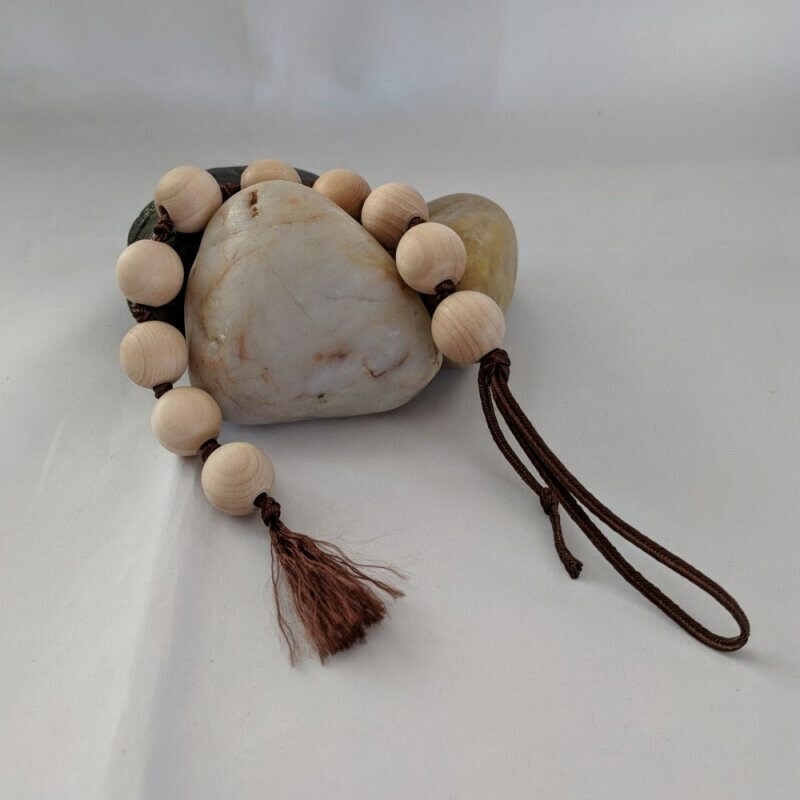 12 inches including the cord.